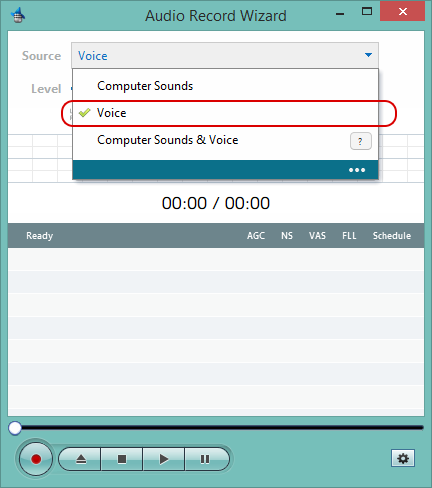 How to record voice from a USB microphone/headset? Step 1: Connect your microphone/headset to the USB port. 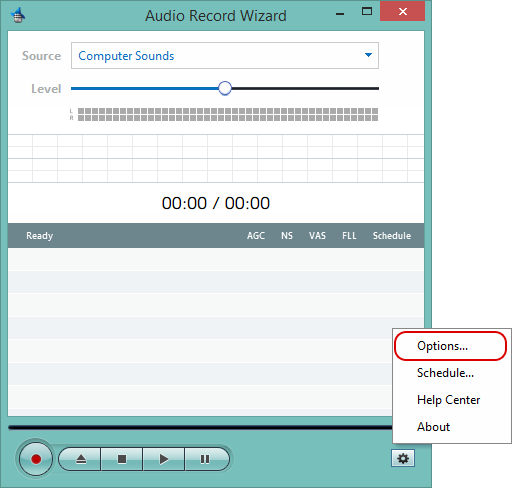 If the microphone is selected as system default recording device, you can just select "Voice" as recording source. 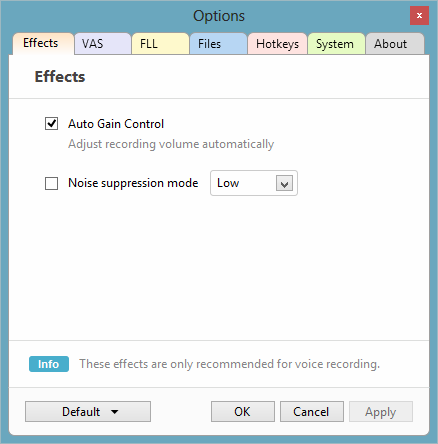 If the microphone is NOT selected as system default recording device, please select the correct microphone in Advance mode. 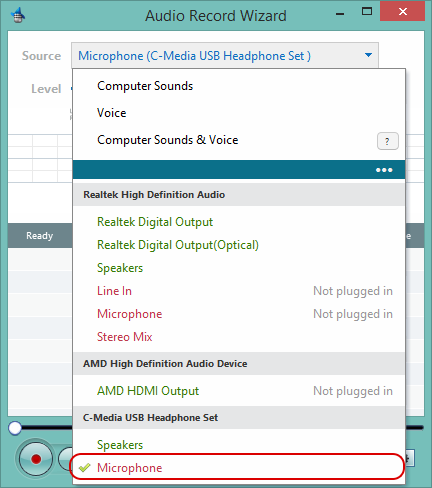 USB microphone/headset has its own build-in sound card. 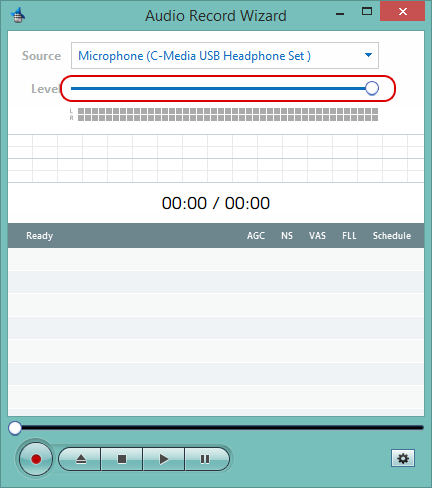 In this example, our USB microphone is listed as "C-Media USB Headphone Set", so we select "Microphone" within "C-Media USB Headphone Set" section.